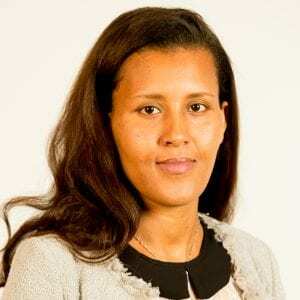 Interview with Addis Birhanu, Professor in strategy and author of the article “Bribery and investment: firm-level evidence from Africa and Latin America”, published in the academic review: “Strategic Management Journal”. Hello Addis, can you please tell us a little about yourself, where you come from, and why you chose to join EMLYON? I am a new Assistant Professor in the department of Strategy and Organization at EMLYON Business School. Before I joined EMLYON, I did a PhD degree in Business Administration and Management at Bocconi University, Italy. Academia has been my career choice for long time, in fact I had been teaching at Bahir Dar University, Ethiopia, before I joined Bocconi University for my PhD study. Once I decided to move onto academia, I had to decide which university would be most appropriate and which city could become a home for both myself and my family. The city my family would move to was an important factor to consider. I chose EMLYON as it is a world renowned management school and Lyon is a beautiful place to live. My research generally revolves around firms and politics. It is about how firms deal with governments and how the strategies they deploy to manage their relationship with governments affect their performance and growth. The interdependence between firms and governments is inevitable. The extent of influence governments have and the challenge they pose on firms is even more paramount in emerging economies. My dissertation assesses firms’ political strategies, the consequences of these strategies on the short term and long term performance and the competitiveness of firms. Your article “Bribery and investment: firm-level evidence from Africa and Latin America” has been published in Strategic management Journal, one of the major academic reviews in the world. As a young professor, how do you feel about it? This article was developed from the first chapter of my dissertation and is coauthored with my PhD dissertation supervisors, Professor Alfonso Gambardella and Professor Giovanni Valentini. As it is always the case to publish in peer reviewed journals, we have worked a lot to make it happen. Credit should go to my coauthors. I have learnt a lot in collaborating with them. When the paper was published it gave me a great satisfaction. My intellectual curiosity was stimulated and I also felt driven to work harder and be part of the global scholarly community in my area of expertise. Corruption is a global problem that is generally less studied at firm level despite significant analysis into the subject. Since the private sector is the founding block of an economy, understanding the cause for the relationship, if it exists, between bribery and firm level outcomes, such as profit, growth, and investment helps us to answer questions such as why more corruption could lead to less growth and development. I believe that understanding these micro level associations between, for example, paying bribes and firm performance is very crucial since the macro level associations are built on these micro level relationships. This research contributes to filling this gap. Which methodology have you used? We relied on a quantitative research method. 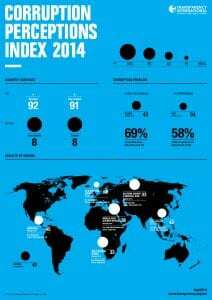 The data was collected by the World Bank Group across 13 countries in Latin America and Africa. This data has a number of advantages as it is the first survey with a global scope to ask firms about their corruption experience with a systematic sampling, and standardized questionnaire. On top of this, the World Bank group made a great deal of effort to avoid measurement biases. However, being that corruption is socially undesirable, the validity of the firm’s self-reported experiences with bribery were questionable. So the results and discussion we made in the paper should be understood with this caution in mind. In which ways can the research you carried out help companies to improve their performance? We know that bribery is illegal in any society. 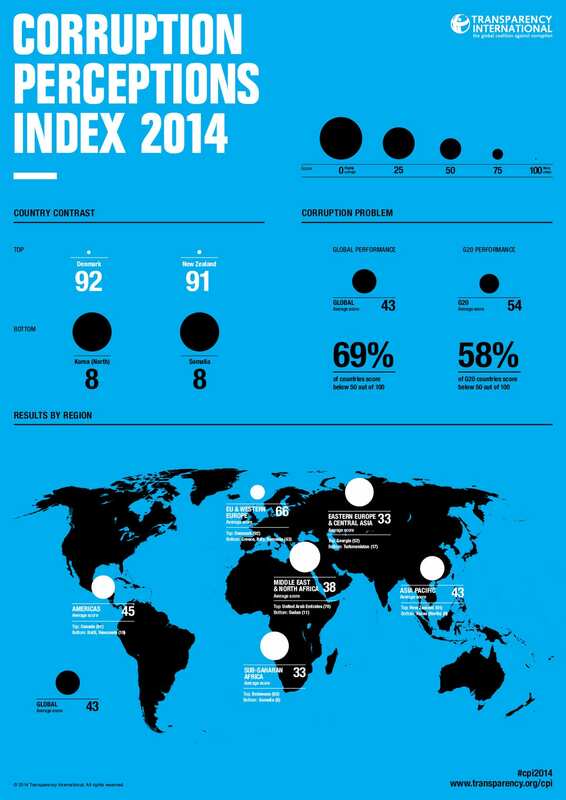 It is also found that countries suffering from high levels of corruption are generally less developed. However, the economic impact of corruption is usually understood from the perspective of its effect, not on the parties engaged in bribery, but the society suffering from the misallocation of resources, which they wouldn’t be excluded from if the bribes weren’t being paid to a third party. Our prime contribution here is to underscore that corruption is harmful not only to an economy but also to the very firm paying bribes as a strategy to deal with governments. We demonstrate in our paper that firms which are engaged in paying bribes show behaviors which are short term oriented, and make trade-offs that deter their long term growth and performance. So we suggest that it is not advisable for firms to pay bribes even though it appears to provide short term benefits. The short term orientation associated with the drive to pay bribes is harmful for a firm’s future growth and competitiveness. And what is the impact from a political point of view? From the policy point of view the study suggests that while putting in place stringent control mechanisms to increase the risk of being caught, and the penalty of being corrupt to government officials, is important, it is also vital to educate firm owners and managers about the downside of paying bribes. That it, alongside the ethical implications, they should be trained and be aware of the fact that paying bribes is not a beneficial political strategy for their firm’s growth prospect and competitiveness. To what extent, is this study transposable to the occidental small and medium firms? The context of our study is Africa and Latin America; therefore, the direct application of this result to Western economies might be limited. There is a substantial variation on the strength of institutions in these economies that reduces the likelihood of firms to engage in bribery. Moreover, even though corruption does exist in western economies, the form it takes, the type of firms that might engage in this activity and the behavior they exhibit may be different. Therefore, the behavior and performance of firms which adopt bribes as a way to deal with bureaucrats in the Western economies would be a natural extension of this research that I would like to undertake when the opportunity arises. (1) The 2010 survey included more than 13,000 adult citizens across 26 countries from all inhabited continents. Assistant Professor in strategy, I focus my current research on firm non-market strategies and corporate governance across different institutional settings. Among other issues, I study the interplay between these firm antecedents and institutional changes.